A radical plan to remove roadside trees around the State is underway. It is apparently backed by research, but people are continuing to die on roads where trees are completely absent. Is the program, advertised widely as the “Towards Zero” safety campaign simply an environmentally costly experiment? There has been an increase of 13% in deaths from road accidents this year despite the increases in roadside tree removals. Conservationist Sue McKinnon said the tree hollows created an important corridor for the movement of phascogales. “The success of the breeding season of the phascogale is dependent on mobility and large numbers of hollows in a wide range as the male runs around over a huge area to find females to breed with, and after this time the male dies,” she said. “If the phascogales’ movement is restricted by removal of hollows along a corridor, the breeding season may fail. Yesterday morning, we chanced to come across Campaspe Shire contractors attempting to remove a large, old dead tree from near the south west corner of McEwan Road and the Midland Highway. The tree removal had been halted due to the discovery of a bee hive which, in the process of cutting, had been cut in half and was causing the contractors much concern. On speaking to the contractors they told us that they were working for the Shire. I can’t be sure whether the contractor who was in the scissor lift with the chainsaw sustained stings from the angry swarm but I suspect the situation was quite risky. The contractors had decided to leave the project as they felt the tree had been pruned to a safe height where it was not likely to fall. From what we understand, their contract included the removal of the entire tree. did not seem ready to break. (See photo). 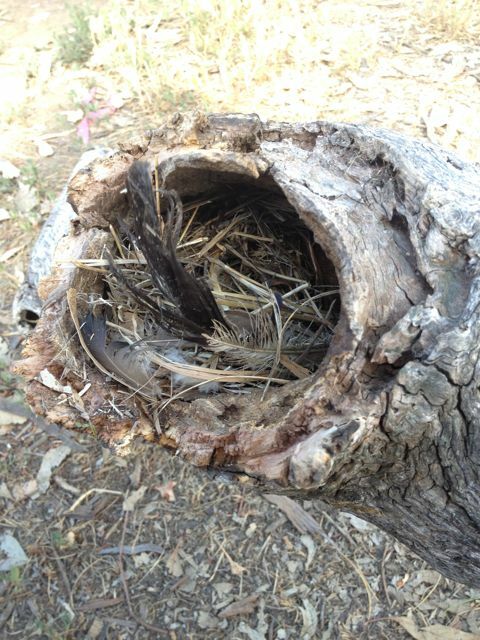 On closer inspection we noticed feathers and nests at the ends of the hollows. As we looked through the fallen branches we discovered a micro bat and several bird eggs in a small hollow, about to hatch. We collected the bat and contacted a local wildlife rescue service. The eggs were all smashed. We took the micro bat home for release later in the evening. habitat value for the area as it not only had many hollows of different sizes but was also premium habitat for bats in the fissures of its trunk. The presence of the bee hive had not prevented other species from making their homes in the tree and the loss of the entire tree will be a loss to bio-diversity in the area. At this point, I would like to ask some questions. When a tree is assessed as a safety risk and ear-marked for removal, is a habitat value assessment carried out? Why does the Shire contract the removal of trees, in particular, old, hollow bearing stags, at the height of nesting season? When hollow branches are removed, are they relocated to provide habitat elsewhere? If a tree has been assessed as unsafe, why does the entire tree need to be removed if it can be made safe with limb pruning? If the remaining tree trunk is re-assessed and deemed to be safe, can it be retained? What is the risk assessment process for the removal of a tree that may contain bee hives considering the contractor is at risk of sustaining injury if stung whilst using a chainsaw at height? To conclude, although this project is not an environmental disaster, it is an environmental tragedy. Many individual species were killed during the works and the loss to the habitat value of the immediate area will take many years to replace naturally. We firmly believe that the Shire needs to address their policy regarding the removal of remnant trees (dead or alive) on public land to refine their definition of what constitutes a public safety risk. A review should take into account the incremental loss of high quality habitat across the Shire. It should also include a survey of significant habitat trees, similar to the National Trust tree register where a value is placed on the existence of the individual tree. The Shire should also include measures and factor the cost to employ sensitive assessment, removal and relocation of wildlife and habitat if the tree needs to be removed. First VicRoads wanted to remove rare box-ironbark woodland at Rushworth, now a mining company wants its pound of flesh. The local action group is ready for them though. We, members of the Rushworth Action Group for the Environment, wish to strongly object to the proposed granting of an Exploration Licence, application Number EL6016 centered on Rushworth, Victoria. As residents of Rushworth, we understand the value of the forest that this application falls within. We object to the application due to concerns about the environmental disturbance this sort of proposal would create. sustain viable populations of woodland-dependent species. 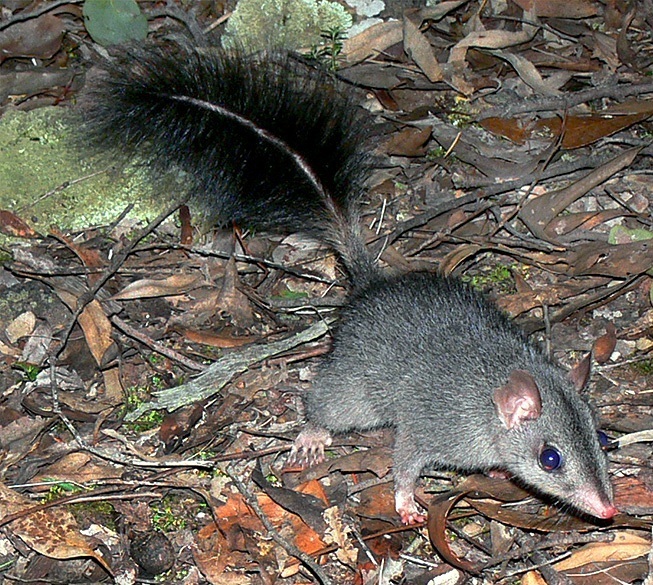 Further damage to these forested areas will radically compromise the ability of many threatened species to survive, resulting in gradual decline and localised extinction of sensitive species such as the Brush-Tailed Phascogale. These highly reduced and largely disturbed forested areas should be conserved and any further encroachment upon them is unacceptable. Rushworth has seen many previous mining operations, some going back to the earliest days of the gold rush; all have left environmental disturbance which is still evident today. vegetation on the site. They also selectively target the fertile alluvial deposits such as creek beds and further compromise and reduce these already depleted habitats. 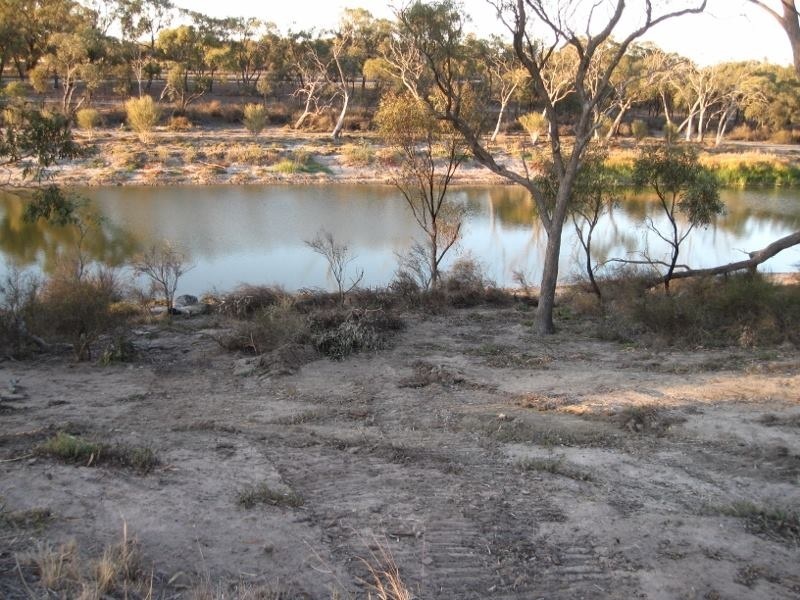 It is unlikely that natural landscapes on mined sites will be restored to their former quality despite revegetation programs. Changes to soil and substrate structure are almost impossible to restore. Shallow trenching will also fragment particular vegetation communities. The future of the Rushworth area relies on eco-tourism and subsequently, the conservation of the box-ironbark forest is a priority. Any further destruction to the bush in this area will be opposed. Fyansford – Gheringhap Rd between Batesford and Stonehaven. The only stand of Bursaria spinosa (Sweet Bursaria) in that area has been removed. It’s a VicRoads Rd. This species was recommend by CSIRO in late 70s to be planted everywhere in SE Australia. It’s part of a complex ecology supporting the breeding of native wasps. When it flowers – the wasps breed. 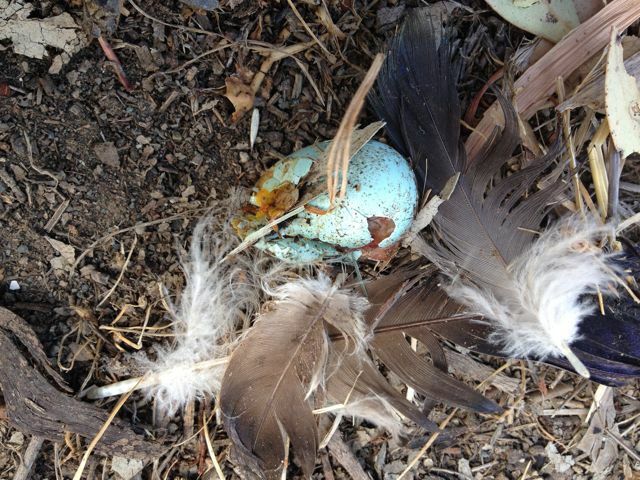 The female feeds on the nectar and she lays eggs which are predators of some nasty underground grass caterpillers that eat grass and tree roots killing them – one cause of Dieback in eucalypts and other trees. The late Dr Bob Davidson of CSIRO toured Victoria, where he lectured on tree Dieback. Farmers everywhere were encouraged to include bursaria in the mix of native veg they grew on their properties. VicRoads themselves planted it on roadsides – for example, the Ballarat Bypass. Sweet Bursaria has many other benefits. It’s important to the Eltham Copper Butterfly – which is becoming extinct. From Elizabeth Chivell, a local resident. Around all of Lake Hindmarsh along the Wimmera River from the mouth to the lake and back towards Antwerp. Have a look at Bunny Cops Facebook page. All the pics of the destruction are on there. 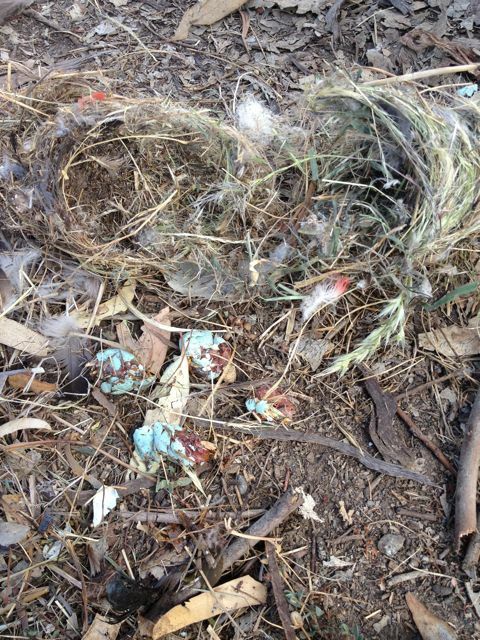 The first Rabbit Control program they didn’t undertake works on the River and around the Lake. They stuffed the whole program up. Then they came back. Thing is that the first program we had the riparian licence for the section back of our place. So they never came to our part to do a Cultural Heritage assessment, but they did it in some other parts. 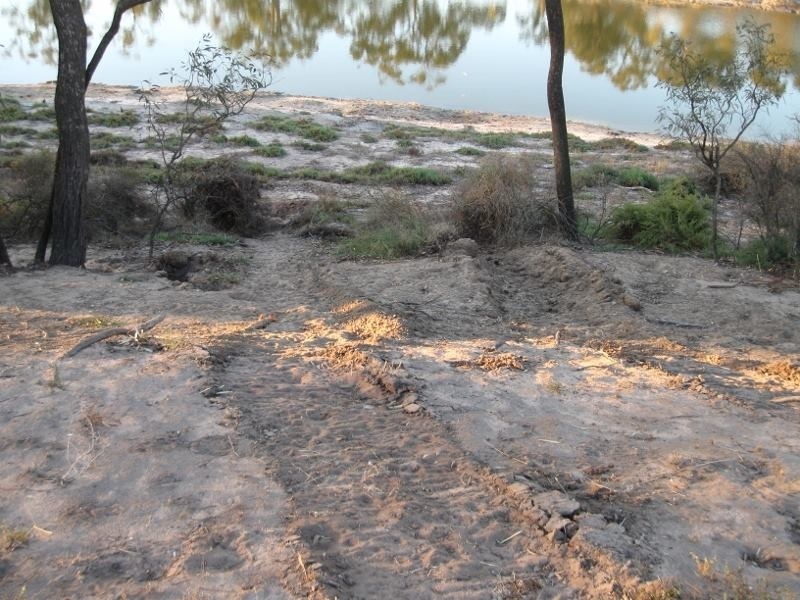 Then the second round, they completely ripped out the river bank, drove over asbestos and contaminated the whole area, broke artefacts, caused River Red Gums to collapse into the river, destroyed parts of a midden tip, dug around a canoe scar tree and shoved fox toxin down holes that they couldn’t seal up under the ancient gums. They did this with an excavator on and around Native Title Land, Heritage River of high conservation etc. They broke every rule in the book. The bloke that authorised it stated at a Council meeting an Elders name and that he supposedly did the Cultural Heritage check, to try and cover himself but…..that Elder wasn’t even in Victoria on the dates stated by him and footage he showed was taken previous years. It was DPI. DSE convinced us to hand back the riparian licence so that they could do the work properly before DPI came back for the second round. If I had known this was going to happen I would never, never have handed back the riparian. Now they won’t even send me out the application form for the riparian. I want it back. I do not give up.